More enterprises are moving application to or developing applications in the cloud, whether on premises or in public clouds such as AWS, Azure, and Google. One problem is that each cloud has its own approach to networking, so trying to build a consistent networking strategy across multiple clouds becomes very difficult. Today’s sponsor, Avi Networks, offers a next-generation ADC, load balancer, and Web application firewall, entirely delivered in software, that can run in a multi-cloud environment. The software has two key components: a controller for global configuration and management, and service engines that are deployed in private and public cloud instances. Avi Networks can work across clouds while being managed from a central console. 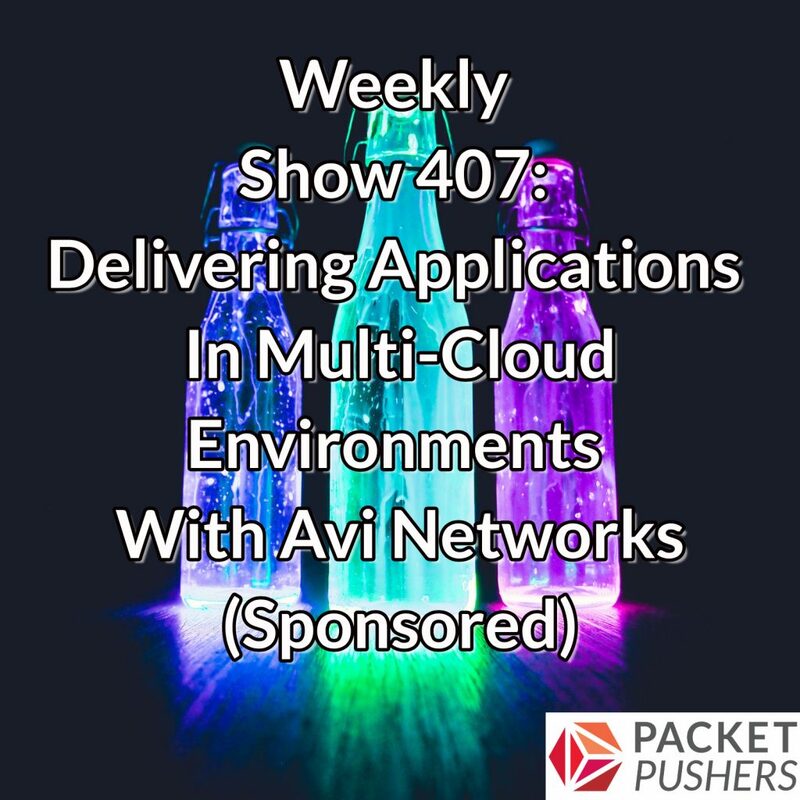 On today’s show we talk about why enterprises are adopting a multi-cloud strategy, and how Avi Networks can help customers ensure application delivery, provide security, and enable automation at scale across multiple cloud environments. Our guest is Steve Allie, Director of Systems Engineering for North America at Avi Networks.